Here is a brief look at some titles that arrived at Eye’s Shoreditch office in recent weeks. 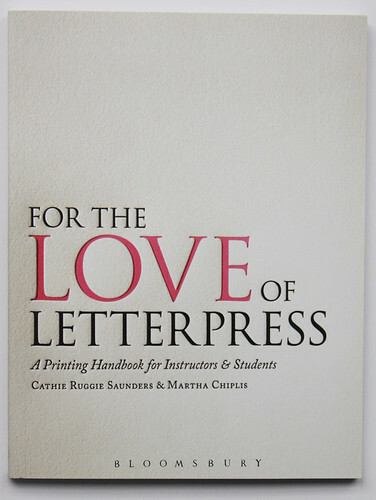 Subsequent chapters of Cathie Ruggie Saunders’ and Martha Chiplis’s handbook walk readers through the history, equipment, ‘Contemporary processes’ and concept generation of a fully realised printed object. Cover design by Martha Chiplis, Cathie Ruggie Saunders and Eleanor Rose. 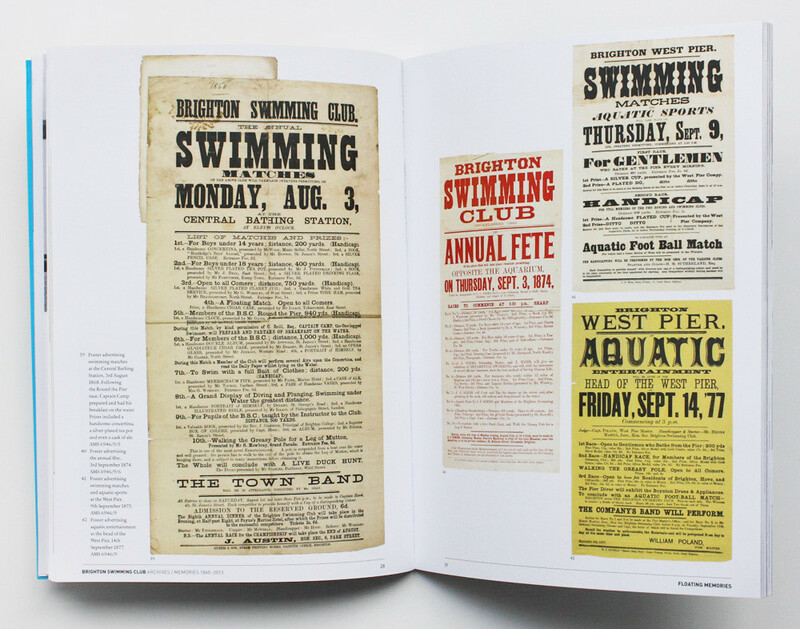 Top: spread from the Brighton Swimming Club’s Floating Memories showing posters from 1868-77 advertising aquatic entertainment and sporting events. 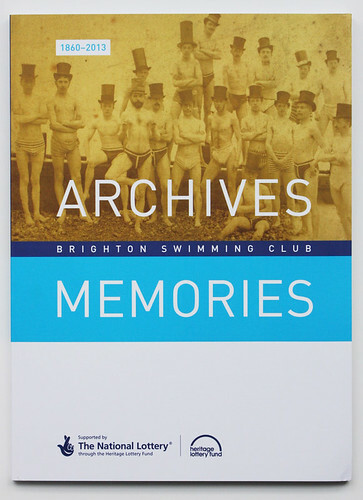 Floating Memories: Brighton Swimming Club Archives / Memories 1860-2013 draws on a century and a half of pier-side history through photographs, press cuttings, handwritten notes and letterpress posters. The Heritage Lottery funded book, designed by Paul Farrington (aka Tonne), reflects the club’s archives (now housed in the East Sussex Record Office) and brings together stories from the ‘collective memories’ of its members, past and present. The book is accompanied by a DVD of Beach Snapshots 1946-54 from the film collection of club member Roger Dunford. Cover of Floating Memories includes a photograph by Benjamin Botham from 1863. Design: Paul Farrington. 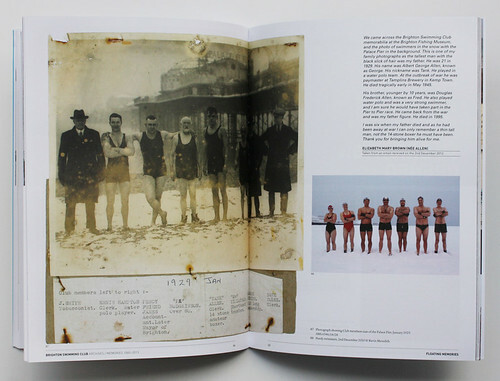 Spread showing a photograph of Brighton Swimming Club members from 1929 on the Palace Pier alongside a 2010 photo by Kevin Meredith of current club members in the snow. Roger Dunford, Beach Snapshots Part 1, 1946. Cover image by Jim Hillin. 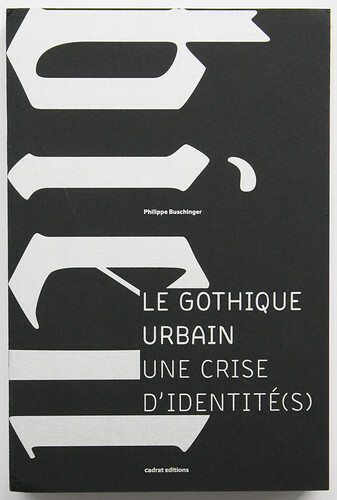 Le Gothique Urbain: Une Crise D’Identite(s) by Philippe Buschinger (Cadrat Éditions, 75 CHF, £52) features 125 photographs of blackletter’s ‘identity crisis’ captured in urban environments across European and other cities worldwide on signage, clothing, merchandise, etc. … and flesh. Le Gothique Urbain: the black front cover reads ‘bien’ while the back, in white, reads ‘mal’, reflecting the good and bad uses of blackletter pictured within the book. 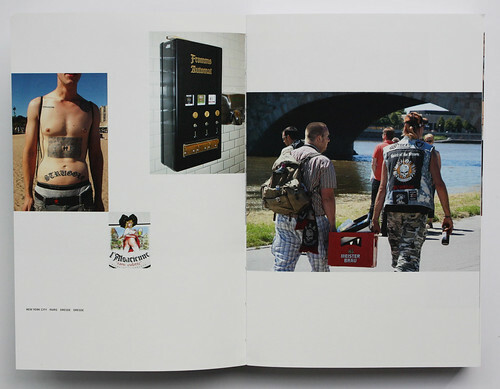 Spread from Le Gothique Urbain by Philippe Buschinger featuring images from New York, Paris and Dresden. 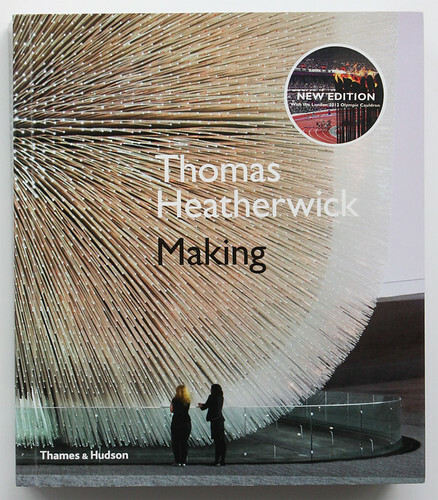 The new edition of Thomas Heatherwick’s Making (Thomas Heatherwick with Maisie Rowe, Thames & Hudson, £29.95) features 140 projects from his studio over the past two decades, with recent additions such as the London Olympics cauldron from 2012. Each project is introduced by a provocation, such as: ‘Can a rotationally symmetrical form make a comfortable chair?’ for the Spun chair (2007), and: ‘Is it possible to design a building in less than a minute?’ for the 2002 BMW Pavilion. Cover shows Heatherwick’s UK Pavilion for the 2010 World Expo in Shanghai. Photo: Iwan Baan. 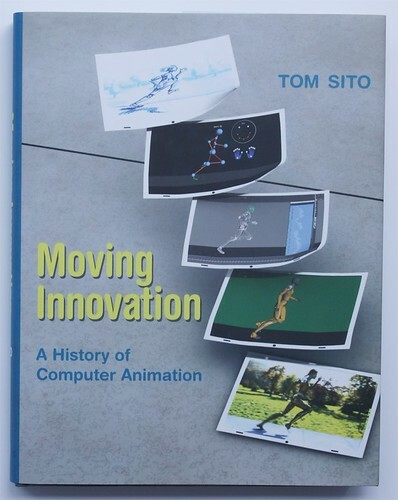 Book design: Here Design. 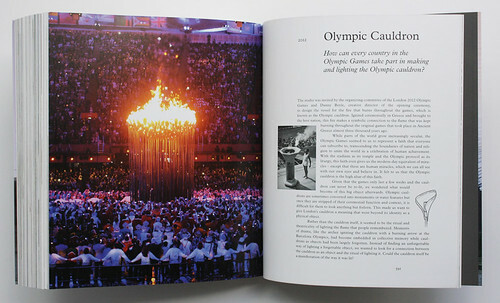 Spread from new (2013) edition of Thomas Heatherwick’s Making showing his celebrated Olympic cauldron.